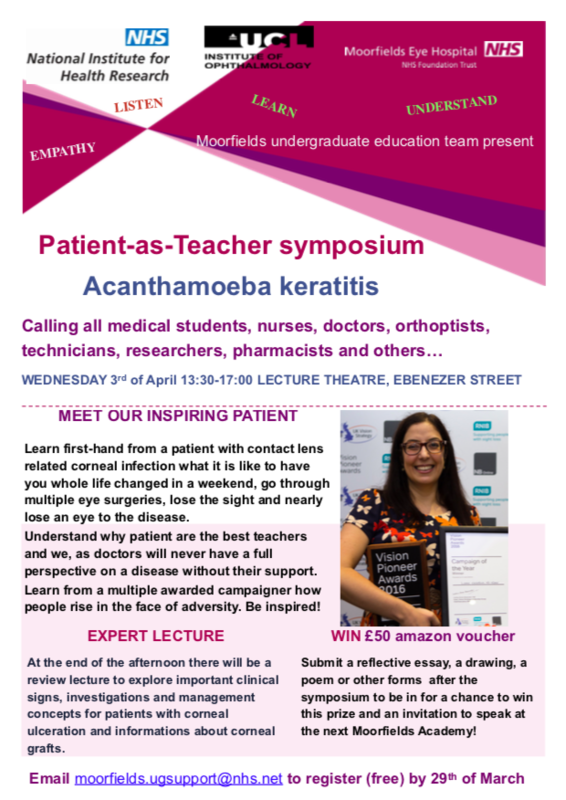 Patient-as-Teacher Symposium: “Acanthamoeba keratitis” Wednesday 3rd April 2019. Lecture Theatre, 2nd floor, 15 Ebenezer Street, London N17NP. Learn from a multiple awarded campaigner how people rise in the face of adversity. Be inspired! For all medical students: Attend, get a certificate and score a point on your application if you apply for ophthalmology! Enter our competition for a £50 prize and prize certificate. If you would like to attend please email moorfields.ugsupport@nhs.net or sign up via Insight. What will Dermatological Surgery look like in 2050?